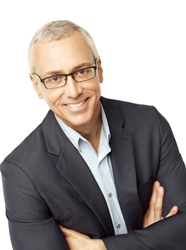 Dr. Drew has used his fame to do positive work in the community and has used his platforms throughout television and radio to end stigma, educate, and save lives. The Maple Counseling Center, Los Angeles' leading organization dedicated to providing high quality, low cost counseling and mental health services to people of all ages and across all demographics, announced today that Dr. Drew Pinsky, Mason A. Sommers, PhD., and Harold Young, LCSW will be honored at the 42nd annual Maple Ball. The red-carpet event will take place on October 26th, from 6 p.m. to 10 p.m. at the Montage Beverly Hills. Actresses Jane Lynch (Glee) and Kate Flannery (The Office) will be singing selections from their live show "See Jane Sing" with the Tony Guerrero Trio. "The Maple Counseling Center is proud to celebrate Dr. Drew, Dr. Somers, and Mr. Young's deep commitment to raising awareness towards mental health issues over the many years they have been in practice. Dr. Drew has used his fame to do positive work in the community and has used his platforms throughout television and radio to end stigma, educate, and save lives," says Marcy Kaplan, MSW, LCSW, CEO of The Maple Counseling Center. The Maple Ball is TMCC's largest fundraiser and is essential in funding its critical mission to provide high quality, low cost counseling and mental health services to people of all ages and across all demographics. The Maple Counseling Center turns no one away for lack of funds. Proceeds from this event will help low-income patients receive long-term care, as well as fund training programs for Counselors and Interns working towards licensure in the mental health field. Proud sponsors of The 2016 Maple Ball include Cedars-Sinai, The Beverly Hilton, The Kobor Family Foundation, Monica and Keith Dragoon, Hedy Orden, Martha and Berry Berkett, Myrna and Stanley Zimmerman, ONE Beverly Hills, Athens Group and Wanda Group. Maple Ball tickets are now on sale with a limited number of seats available. For more information about tickets, sponsorships and The Maple Counseling Center, please visit http://www.tmcc.org/event/maple-ball-2016/. Dr. Drew Pinsky is a practicing physician, Board Certified in Internal Medicine, and Board Certified in Addiction Medicine. Dr. Pinsky received his undergraduate degree from Amherst College and his M.D. from the University of Southern California, School of Medicine, where he remained for his residency. Pinsky then became chief resident at Huntington Hospital in Pasadena. He is a diplomat of the American Board of Addiction Medicine and the American Board of Internal Medicine. He has been appointed to the Alpha Omega Alpha Honor Medical Society and is a Fellow with the American College of Physicians (FACP). For over 33 years, Mason A. Sommers, PhD, has worked with adult individuals and couples in a variety of areas including anxiety, depression, trauma and intimacy. The focus of his work is attachment-based using a combination of dynamic psychotherapy and mindfulness techniques. Dr. Sommers has helped countless couples who have suffered from neglect, disappointment and trauma and has helped them find new ways of communicating and reestablishing trust to allow for renewed intimacy. Harold Young, MSW, LCSW, has been with The Maple Counseling Center since 1985 and has been the Clinical Director since 1997. Harold received his Master’s in Social Welfare from UCLA and has nearly 30 years experience in the mental health field as a supervisor and a therapist. As Clinical Director, he has oversight of all clinical staff, responsibility for all clinical programs, and supervises and trains interns in the theory and practice of psychotherapy. He has a private psychotherapy practice in Beverly Hills, where he works with adolescents, adults, and couples. The Maple Counseling Center is a non profit whose mission is to provide low cost comprehensive mental health services to individuals, couples, families, and groups throughout Los Angeles County, and to provide training for interns and counselors who are working towards licensure in the mental health field.